Just click on the particular icon of your choosing. next to the album you're seeking below for direct access to the correct site listing Mel's music. 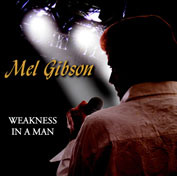 Samples of all his songs are available at each of these sites as well as on the page here on Mel's website. (with choice of photo) to anyone! Click Here. This is Mel's long awaited for gospel album of which he is so proud. Every aspect of this carefully chosen and crafted collection of inspirational songs is superb. The music will delight your ears and the words will lift your spirit. 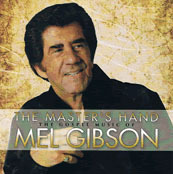 Mel uses his unique means to drive home the gospel message in each and every one of these songs. See page for more! 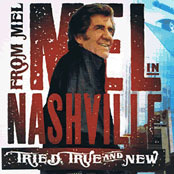 "FROM MEL IN NASHVILLE - TRIED, TRUE & NEW"
This is truly Mel's landmark album...recorded in Nashville in the fall of 2013. It received immediate attention upon release in more than a dozen countries worldwide. This 12 song CD includes 5 new songs written by Nashville songwriters: Terry Dennsi. Marc Rossi. and Paul Jarvis. There are some great cover tunes as well - recorded in Mel's own, very unique style. See page for more about this album. This was Mel's debut album, and was also recorded in Nashville, TN and produced by Mark Moseley. These 12 songs demonstrate his marvelous versatility, timing, phrasing, and indefinable romantic appeal. "I've been in this business for over 40 years and occasionally someone crosses my path with a talent that surpasses the norm. Mel fits that category excessively so. The passion, the feeling, and the conviction that he puts into his interpretation of a song is a true expression of a real artist. He injects what I call 'attitude' into every song he sings. So get ready...sit back and let Mel entertain you." Don Reed - Affinity Music/Don Reed Productions, Inc. Single - "MINE". Click here to see Mel's 'YouTube' video! 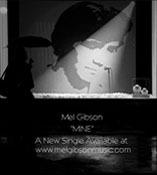 Mel is offering his new single "MINE" free of charge as a "Thank You" to all of his fans for their support in helping to make his first album "Weakness In A Man" a success. 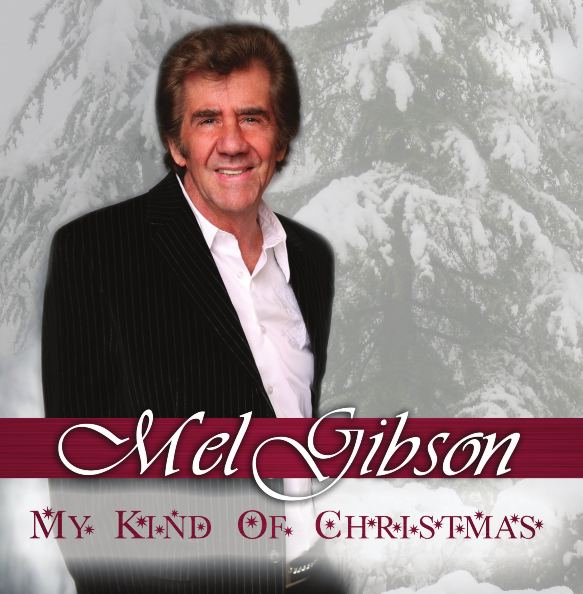 Click here to download your free copy of "MINE"
Mel's Christmas album "My Kind Of Christmas" is titled perfectly for him. It was entirely recorded in Nashville and co-produced by him. All 12 songs express his unique arrangements and creativity. Mel received rave reviews on the international radio circuit, as well as hitting the European Charts between December 2013 and January 2014. You will definitely want to add this CD to your Holiday collection. ©2006-14, Mel Gibson, All Rights Reserved.